Posted May 28, 2013 by Norburn Lighting and Bath Centre & filed under Green Living, LED, Regulation And Bylaws, Sales and Promotions . Now is a great time to purchase LEDs and take advantage of instant rebates available through BC Hydro offers $5 off* LED bulbs and $13 off* LED fixtures. *Select Power Smart qualified products only. Some conditions apply. 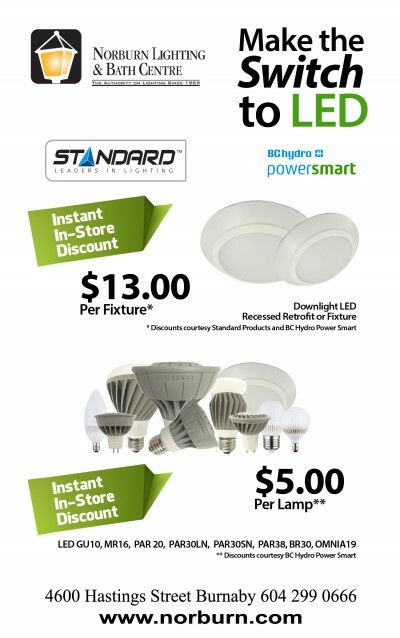 See in-store for details.There has never been a better time to switch to LED Lighting! 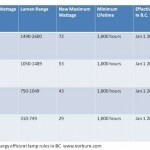 Norburn is offering an instant rebate on certified LED replacement lamps. The average home has approximately 30 light sockets and there’s an LED bulb for almost every one. With the versatility now offered by LEDs, it’s never been easier to find the right bulb for your need. 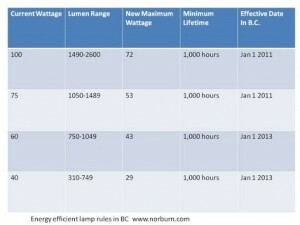 LED bulbs offer the highest efficiency with lowest operating cost of all lighting alternatives. Norburn carries approved LED light bulbs to suit any room in the house. Now is a great time to purchase LED’s and take advantage of instant rebates available through BC Hydro offers $5 off* LED bulbs and $13 off* LED fixtures. *Select Power Smart qualified products only. Some conditions apply. See in-store for details.